BMW India was the exclusive ‘Luxury Mobility Partner’ at the seventh edition of Panasonic Open Tour held from 02 – 05 November 2017 at the Delhi Golf Club. 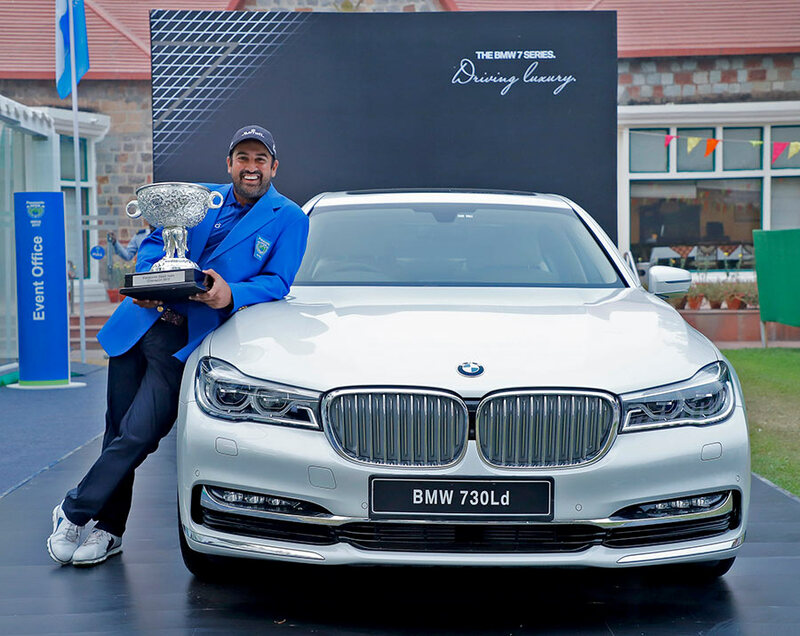 The all- new BMW 7 Series was on special display and the all-new BMW 5 Series was the coveted prize for the hole-in-one challenge at the four day golf tournament this year. The winner of the Hero Indian Open 2017 was Shiv Kapur. The runner up was Sudhir Sharma. Top golfers from the world over competed to win the total prize money worth US$ 400,000. Shiv Kapur was seen playing along with golf stalwarts such as American professional golfer Paul Peterson, Scott Barr from Australia, Thaworn Wiratchant and Prom Meesawat from Thailand and SSP Chawrasia among others. BMW is one of the biggest promoter of professional and amateur golf sport on a global scale. We are proud to be associated with Panasonic India Open as an exclusive ‘Luxury Mobility Partner’ and extend the immersive BMW experience to golf enthusiasts for the third consecutive year. Shiv Kapur has been associated with various BMW sports engagement initiatives in India. We congratulate Shiv Kapur on an impressive performance. Shiv played with a lot of skill, determination and consistency in true BMW style to secure this well-deserved victory. 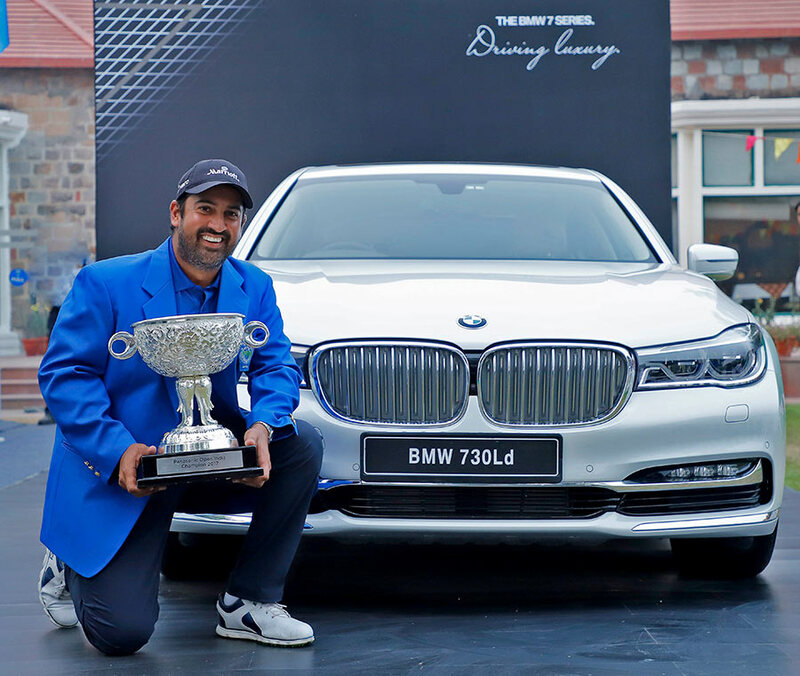 Shiv Kapur is the ‘BMW Friend of the Brand’ and has been actively associated with BMW Golf Cup International. He also conducts golf clinics across India for BMW customers who also are avid golf players. BMW Golf Cup International is one of the world’s largest amateur golf tournament series with roots that trace back more than a quarter of a century to a British-based initiative that ran on its own for five years before going international. An exclusive, invitation-only event, BMW Golf Cup International is designed for esteemed BMW customers providing the right mix for an exclusive social interaction. In India, BMW Golf Cup International has established itself as a leading tournament series and has seen tremendous success since it started in 2008. India is one of the 50 participating countries at the prestigious BMW Golf Cup International World Final for which more than 100,000 players compete across 1,000 qualifying tournaments all over the world. BMW India dealers identify amateur golfers amongst BMW owners who are interested in participating in the tournament. The tournaments are held in accordance with the rules of the respective local golf club. This year, as part of BMW Golf Cup International 2017, seventeen tournaments will be held across India in twelve cities – Hyderabad, Bangalore, Chennai, Mumbai, Pune, Ahmedabad, Jaipur, Noida, Kolkata, Lucknow, Chandigarh and Gurgaon. BMW Golf Cup International 2017 has three categories: A (for handicaps up to 12), B (for handicaps 13 – 28) and Ladies Category (for handicaps up to 28). The winners from each Indian city will compete at the National Final. The national winners will come together at the BMW Golf Cup International 2017 World Final. BMW India has also conducted Golf Clinics under expert supervision. These Golf Clinics will serve as an introduction to the game of golf for the participants. Participants will be able to practice and take professional advice to get a first impression of the game.